It’s not too late to enjoy fresh farm food and artisan goodies! 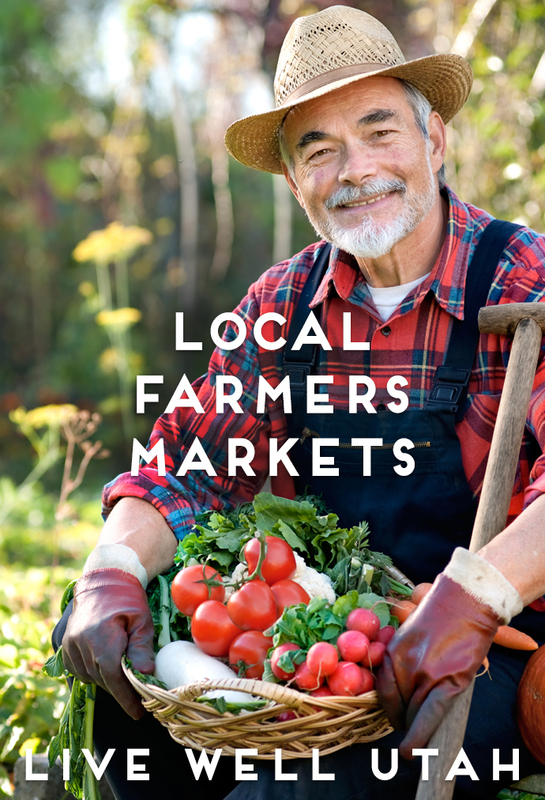 To help you find a market near you, we have compiled a list of farmers markets around the whole state of Utah. Did you know it’s National Farmers Market Week?? This national week calls for some local celebration. To join the party, find the market nearest you and stop by and visit the next time it’s up and running. It’s never too late to enjoy fresh and delicious finds since most markets run through late fall! Runs through October, International Peace Gardens, 1060 S. 900 West, Salt Lake City http://9thwestfarmersmarket.org. Runs through October 24, Pioneer Park, 350 S. 300 West, Salt Lake City www.slcfarmersmarket.org. August 4 through October 20, Pioneer Park, 350 S. 300 West, Salt Lake City www.slcfarmersmarket.org. Runs through August 27, Main Street Park, 250 S. Main St., Heber City. Additional parking at the Heber City Police Station, 301 S. Main St. www.ci.heber.ut.us/community/events/farmersmarket. Runs through September 24, Utah State University Botanical Center, 920 S. 50 West, Kaysville www.usubotanicalcenter.org/htm/farmers-market. Runs through October 31, Kane County North Event Center, 475 N. State St., Orderville www.facebook.com/pages/Long-Valley-Farmers-Market/1397811127154513. Runs through September 26, Mapleton City Center, 125 E. 400 North, Mapleton www.mapletonmarket.org. Saturdays, 10 am – 2 p.m. Runs through October, Center and Main streets, Torrey www.facebook.com/WayneCountyFarmersMarket. Runs through Oct. 17, Bit & Spur Restaurant, 1212 Zion Park Blvd., Zion Canyon www.zionharvest.org/_includes/ZFM.htm.